Comments: Obi-Wan Kenobi is a friend of Luke Skywalker, the Rebel hero. 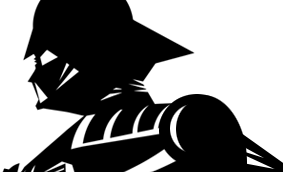 In a battle with the evil Darth Vader, Obi-Wan lets Vader win and disappears, becoming part of the Force. His spirit appears to Luke and guides him in his fight to save the galaxy. He tells Luke to find Yoda, who will teach him to be a Jedi Knight and to use the power of the Force to fight Vader. 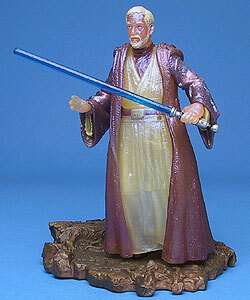 While this Spirit Obi-Wan figure does not include any other title description, it is part of the Dagobah-themed wave and therefore is listed that way in our archives. This figure comes with a lightsaber, although he did not have one in the film.